Mascar will be at Nova Agricoltura Fienagione 2018, the field trials event. Mascar will participate at the second edition of “Nova Agricoltura Fienagione” the event organized by Edagricole dedicated to the field trials. During the morning you can see working on the field some of our agricultural machinary and those of the producers who adhere to the initiative, commented and illustrated by the organizers in real time. In the afternoon you can take part in the conference “The best management of fodder”. 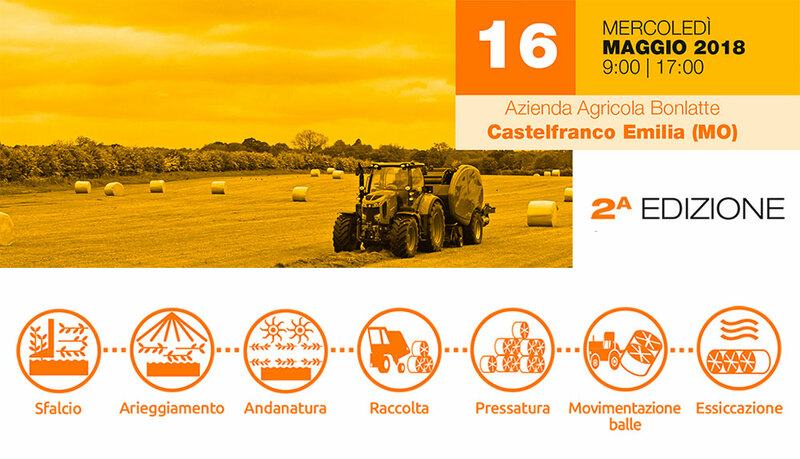 The event is scheduled for May 16th, from 9.00 am at the Bonlatte Farm, Via San Vincenzo 7, Manzolino – Castelfranco Emilia, Modena. Below the video of the event from last year.